The heating and plumbing experts​. With over 25 years combined specialist experience, we offer heating and plumbing services in Fleet, Church Crookham, Hartley Wintney, Farnham and across Hampshire, Berkshire, Surrey, South London and beyond.​ We are both gas and oil registered. Our pricing is competitive and we only use the best quality materials - we offer good value and excellent quality work that will last. 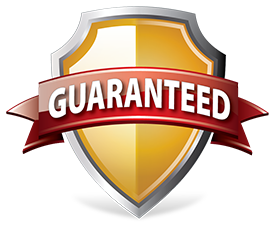 We guarantee to beat any like for like British Gas quote and we're so confident in our work that we offer a 12 month guarantee. We are Oftec registered (C102413) so are qualified to and can legally carry out work on oil based heating systems. For peace of mind, we offer a 12 month guarantee on all of our work. Visit our reviews page to hear from previous customers. Need a new boiler or heating system? We have extensive experience of fitting and replacing boilers and heating systems - over 1,200 so far! There isn't a type of property or system we haven't worked on so we're confident we can find the right solution for you. Whether you need a brand new bathroom or need old pipework​ replacing, we offer a comprehensive bathroom service. We offer comprehensive servicing to ensure your boiler continues to work efficiently, saving you money and energy. In the event of a breakdown, we'll quickly find and fix the problem. We work on properties old and new, and can create a bespoke system that complements your property.